Pankaj Mondal is an expert writer in the project management industry. He enjoys producing articles on the following subjects: project management software, book reviews, and also any subject related to project management in general. 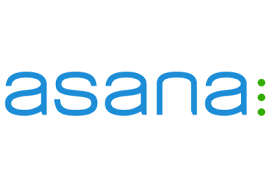 Asana is a free tool mainly used by teams of all sizes to move their work from scratch to finish and get the desired results. It is used in a variety of industries and we shall now look at some brilliant uses of this great product. Asana has been described as one of the top cloud services that can be used for SMBs in the first article. It’s also one of the best free tools that entrepreneurs should be using to create a conducive and relaxing business atmosphere according to a team of strategic and creative marketing professionals. The last article discusses on how the software can be used by freelancers to save money and time. Trusted by millions of individuals all across the globe, Trello is a free, flexible, easy and visual way to organize anything including managing your projects. This news article shares three great uses of the app that make it more versatile. Christy, an expert freelance writer, lists 6 apps that she cannot live without, and one of them is Trello. The second post is on integrating Trello with talkSpirit, which helps you to receive your desired notifications without any technical knowledge. The last article in this news series is a comparison between Trello and another exciting project management tool, LiquidPlanner. Trello is a fantastically flexible and versatile tool for project management which can be used as a robust engine for product development with huge teams or for personal organization. 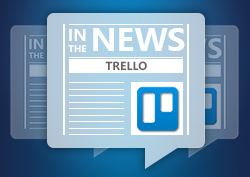 We have handpicked three important uses of Trello from different sources for you. The first article is a thorough guide on personal side projects using Trello. The second discusses on how you can use the tool to stay on top of things very easily. Finally, the last article will show you how to easily plan your social media and scheduling. Smashing Magazine delivers innovative and useful information to Web developers and designers and have close to 300k likes on Facebook alone. A few days back, they featured an in-depth guide to personal side projects. Personal side projects are the pillars of innovative discovery and growth. Even though they do not lead to financial gains, they have many long-term benefits. These include creative exploration, personal growth and creation of professional opportunities. With 1.1 million daily active users as of now and $10 million in annualized recurring revenue, Trello is the number one project management tool at the moment. In this post we share three new articles on the tool and its unique uses. The first is on managing any type of project-from home and personal to school and work. The second is an interview with Alexia Ohannessian, Trello’s International Marketing Lead, where she teaches how the tool nailed localization and global marketing. The last article deals with how to use Trello to run your life peacefully. After crossing the mark of 1.1 million users every single day and tripling sales to $10 million in recurring revenue annually, collaboration giant Trello is now getting contemplative about enterprise growth and big businesses while remaining a happy associate to Slack, a cloud-based team collaboration software co-founded by Serguei Mourachov. Trello is now following in the footsteps of Slack of transforming major businesses into loyal paying customers. If you’ve used Kanban within the project management industry or for personal use, you’ll more than likely love Trello. This is one of the most easy-to-use tools from among the wide variety of project management apps available in the market. The simplicity of the interface makes it very easy to manage complex procedures and projects. It comes as no surprise that the app is now being widely used by top companies like Google, Adobe and PayPal. Launched in September 2011, Trello has been ranked as the number one tool for project management and task management by many software review websites including GetApp. Here are 3 amazing blog posts on how Trello can be used to make your life simpler and easier. Do you run an online business and require collaborating with your team to get more productive results? When used in the proper way, task management systems can turn out to be an important factor that determines the success of your business. 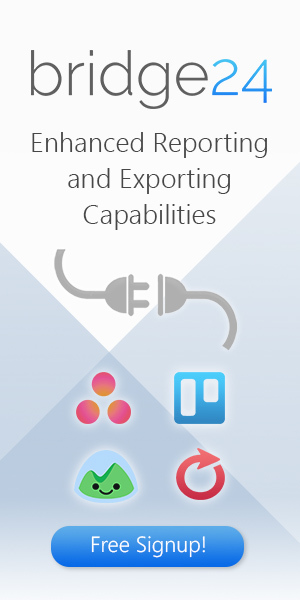 Trello is one of the top task management systems which is used to make workflow smooth, revised and constant. However, in some cases, when you are handling a heavy number of projects, things can go haywire while using the tool. So how do you get the most out of this incredible system so that your projects and assignments run in a planned and desired way? Here are three latest articles on how Trello is being used by Agile Government Academy, 10 great ways to use the tool to manage your life and how you can shape up your blog with Trello. If your work involves organizing, managing and prioritizing tasks, nothing comes as close to Trello. Its Kanban-style approach is not meant only for project professionals, but can be used as a learning aid, a job hunter help, an idea book, a money tracker, a list of bucket lists, an editorial calendar and much more. Let’s dig into some of the best uses of this fantastic free, easy and flexible tool. We have gathered 3 fantastic articles on how Trello can be used to add exuberance into your life. 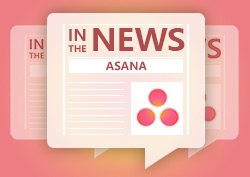 Asana is one of the most convenient ways for teams to keep a track on their project. From projects and tasks to dashboards and conversations, the app allows team to move their work right from the scratch to its completion and get results. It’s free for teams up to 15 individuals, with the main focus being allowing users to manage tasks and projects online without the use of email. Trello is another collaboration tool similar to Asana that organizes your projects into boards and cards. Just by a single glance, the app lets you know on what’s being worked on, the stage of the project and who’s working on it. Here are two articles on both these awesome apps. The first one is an interview with Asana’s cofounder Dustin Moskovitz while the second is a comparison between Asana and Trello. Trello is undoubtedly a mind blowing visual organizing tool which is being heavily used by struggling entrepreneurs to organize their workflow. And, today for all our Kannaban fans, we’ll be covering on how businesses are making the most of this amazing tool. Let’s explore three recent articles featured on some top blogs and find out how the app can make your workflow a lot easier.